Turn the corner to free-motion success with a meandering makeover! 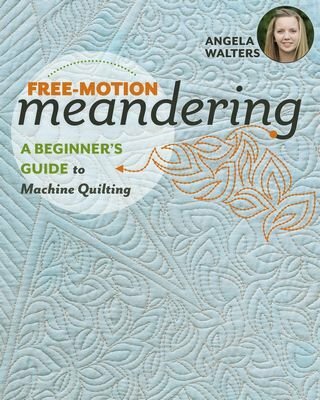 Best-selling author Angela Walters shows you that free-motion machine quilting doesn't have to be scary, with a couple designs in your pocket, you can finish almost any quilt on your home machine and enjoy the process. Practice 8 meandering stitches for beginners plus unique modifications for each, with step-by-step visuals and quilted samples. Improve your free-motion quilting, disguise mistakes, and transition between designs with ease. Thrive at free-motion quilting with popular teacher and best-selling author Angela Walters. Softcover, 80 pages.